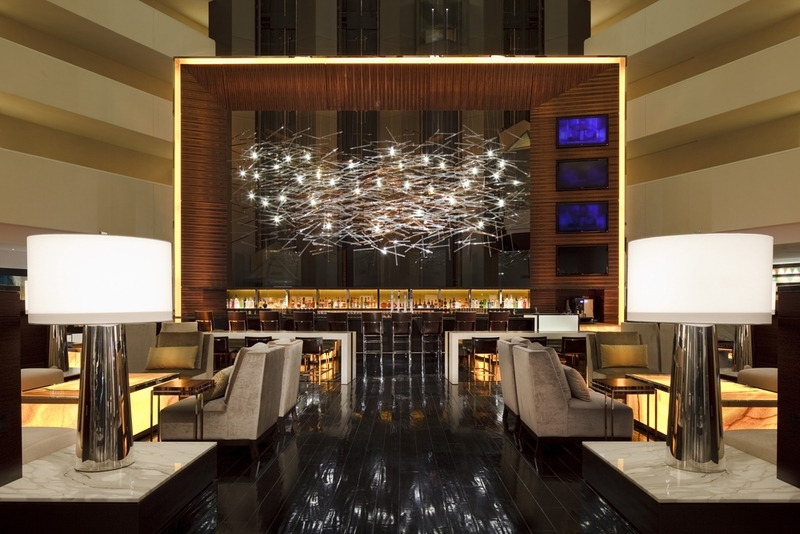 Situated just outside of DC and adjacent to corporate headquarters, the Hilton McLean serves as the brands flagship hotel. When Hilton first made the move from Beverly Hills to McLean, Virginia, the hotel was in desperate need of a renovation. While at tvsdesign members of the BLUR Workshop team led the design to reinvent this property to become an example of the brand’s vision. The renovation was comprehensive and included all the guest rooms, meeting spaces, the lobby, front desk, retail area and restaurant. Unique programmatic elements were introduced into the hotel, such as the Technology Lounge and the flexible dining space, to improve guest experience and increase revenue, with the day-night bar that serves as the lobby’s focal piece the signature example.